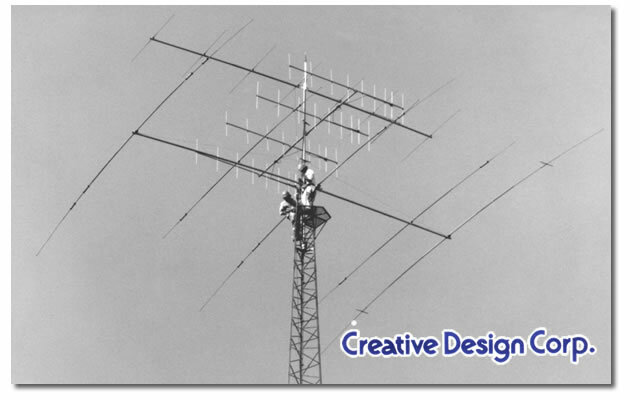 Creative Design Corp. is the only and exclusive company who designs and manufactures a various type of telecommunication and industrialize equipments such as antennas, balun transformer, antenna rotators, tower and their related equipments, and RF generators etc. by our own. Creative Design Corp. known as its brand name as 'Create', has been aimingat perfection in its all the products that prove worthy of user's reliability and satisfaction. From long years experiences, thoughts and ideas we have been taken for many years in manufacturing a variety range of products reflect in all the details of process from designing, developing and production down to all the process of quality control etc, brings it possible that can only offer "Commercial-Grade Quality." Take a balun transformer for instance, it has been designed and developed through an unique process of ideas which approach to consider minimum distortion and mutual modulation when maximum output power is feeded through. The VSWR which is one of the most important factors of the balun transformer is precisely designed and manufactured over the several process under the regit and precise experiments in order to derive the highest performance with longest stability through strict conditions on the assumption that usage under the severe environments is being made. Copyright 2010. / Creative Design Corp. / Allrights reserved.